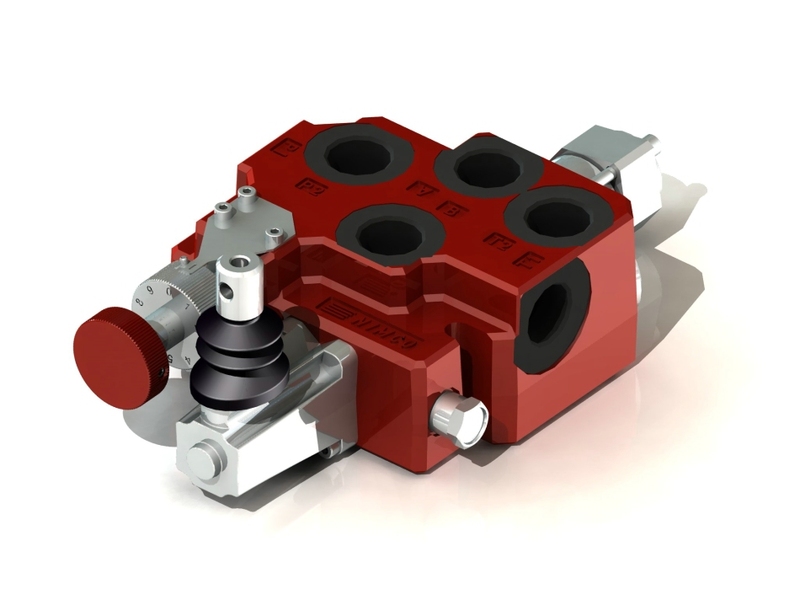 CV691/CV791 is a unique directional control valve with an adjustable build in pressure compensated flow control valve and a district pressure limiter valve for over pressure. This allows for constant speed on all functions at the same. It can be combined in series of three valves, which off one single pump flow, can control the speed of three different flows. Options HPCO ,Extra Main Relief Valve, Pressure Cut Off valve 12 or 24 V main flow activation valve is available as well as 12 V or 24 V spool activation mechanism.